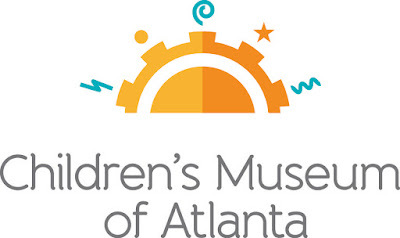 Adventure awaits with the newest feature exhibit at Children’s Museum of Atlanta! Mystery of the Mayan Medallion, an educational traveling exhibit created byThe Museum of Discovery, invites little archeologists to embark on a quest to uncover coveted secrets of an ancient Mayan kingdom. Visitors will venture deep into the Mexican rainforest to investigate an abandoned dig site and discover priceless treasure through lessons in science, language and history. Whether they scamper across the creaky wooden bridge through the dangerous jungle, decode ancient hieroglyphics or identify Mayan constellations, children will interact with a variety of hands-on components, engaging activities and more. Mini-Musical: Georgia’s History Alive…Read On! Weekdays and 11 a.m. and 12 p.m. Weekends at 11 a.m. and 1 p.m. In celebration of Black History Month, Children's Museum of Atlanta is excited to present a special 20-minute musical titled Georgia’s History Alive…Read On! Presented by Museum Imaginators, this new musical features a librarian and two students (Dewey and Carrel) to show children how they can find all types of exciting information in their library! Weekdays at 1 p.m.; Saturdays at 12 p.m.
Children can gather around an Imaginator for a reading of “Draw what you see: The life and Art of Benny Andrews” by Kathleen Benson. In the story, Benny Andrews loves to draw, and he dreams of a better life. In the end, Benny’s dreams take him far from the rural Georgia of his childhood. His story will inspire budding young artists to work hard and follow their dreams. Weekdays at 2 p.m. and weekends at 3 p.m.
Black music has had influence on most of the music we hear today. West African rhythms, chants and song structures were brought to America during the slave trade, and this led to the birth of jazz, blues and spirituals genres. Through this Music and Movement program, visitors will dance their way through decades of various music genres influenced by black music. As Children's Museum of Atlanta celebrates Black History Month, visitors are invited to join an Imaginator for a special Music and Movement program with Jazz music by the great Musician and Bandleader William "Count" Basie! Weekdays 10:30-3:30 p.m. and weekends 11-4 p.m.
Children will create their very own sculpture to take home, as they learn about the work of Elizabeth Catlett, an African-American graphic artist and sculptor best known for her depictions of the African-American experience in the 20th century. Visitors can create their own narrative quilts with various patterns, as they learn about Faith Ringgold, an African-American artist best known for her narrative quilts. Children will learn and create a color field painting with inspirations from Sam Gilliam, an African-American Color Field Painter and Lyrical Abstractionist artist. During this Art Studio project, visitors will create art using buttons inspired by African-American Visual Artist Beau McCall. At the Build It Lab, older children (ages 6-9) will enjoy a supervised space where they have access to real tools and materials needed to spark creativity, nurture curious minds and ignite the next wave of innovators. For the Car Project, children can create their very own vehicle to travel the world – from Canada to South America! Guests will learn to cut, sand and assemble their very own toy car. Ahoy mate! Children can join instructors in the Build It Lab to assemble their very own raft – just like Tom Sawyer and Huck Finn! Weekdays at 3 p.m. and weekends at 4 p.m.
· Guests can join Professor Labcoat and his Imaginator associates for fun with science! This program features a variety of hands-on, science demonstrations – from magnetism to chemical reactions to astronomy. All demonstrations are informative, fascinating and incredibly fun (perfect for kids ages 4 and up). Weekdays 10:30-2:30 p.m. and weekends 11-3:30 p.m.
· Kids can marvel at the inner workings of the human body, the wonder of light and the technology of robots in this new permanent mezzanine-level exhibit! The Step Up to the Science Bar allows guests to come up and ‘order’ a hands-on demonstration or experiment. Join the Imaginators for this seasonal program featuring fruits and vegetables that can be harvested in Georgia throughout the year. Visitors will also be able to participate in a cool cooking activity! The Science Wondershop offers children the opportunity to explore science through exciting, hands-on activities. The program is designed for adult-child interaction to encourage imagination, curiosity and an interest in the world. Space for this popular program is limited, so families are encouraged to act fast! Sign-up sheets are available at the Museum’s Welcome Center on a first come, first served basis. This enchanting Chinese tale is a multi-cultural gem with a moral about the importance of honesty. Visitors will enjoy a show featuring an Emperor who provides a future for the land he loves and a peasant boy who helps him. The Art Studio will feature a special craft to celebrate the Chinese New Year! Children can create monkey ears to represent 2016 as the year of the monkey. Visitors are invited to participate in a Chinese New year-themed project! Children will build tangrams. As Children’s Museum celebrates the Chinese New Year, visitors are invited to join Father Gander or Mother Goose for a special story time. Children will listen to a reading of the wonderful book “Dragon Dance: A Chinese New Year” by Joan Holub and Illustrated by Benrei Huang. 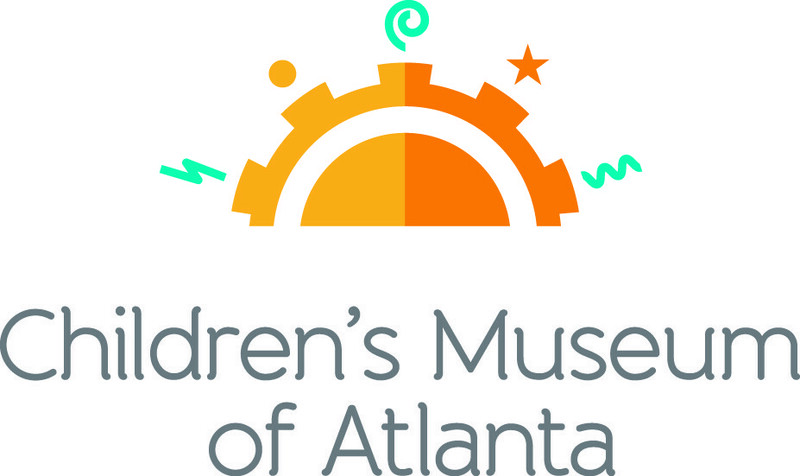 Families are invited to celebrate Chinese New Year with Children’s Museum of Atlanta as part of their popular “Meet the Holidays” program. The Chinese New Year, also known as the Spring Festival, is a time for Chinese families to come together for a special gathering. It is also traditional for every family to clean their house, in order to sweep away any ill-fortune and to make way for good incoming luck. Visitors will celebrate with a special dragon parade, music and kid-powered “firecrackers” made from bubble wrap and stomping feet! Kids can enjoy “Chinese Tibetan Folk Dance Full of Love and Joy on the Heavenly Road,” a Chinese classical music piece, a Chinese New Year folk Song and 5000 Years of Chinese Dynasty Costume Show. · 4 p.m. – Super Science Spectacular Show! Guests can celebrate Chinese New Year with the Atlanta Chinese Dance Company! With dazzling costumes, colorful props and melodic music from China, authentic Chinese dances are interspersed with historical and cultural background information. Visitors will also have an opportunity to try their hand at traditional ribbon dancing! During this cooking activity, visitors will learn how to make a sweet potato mousse with an added orange, which symbolizes good luck for the Chinese New Year. Guests will make a variety of Valentine’s Day crafts for their loved ones, including a Valentine’s Day Mobile and a thoughtful card. There will even be an opportunity for face painting! Love is in the air! Visitors can join Children’s Museum Imaginators for a special story time with Mother Goose or Father Gander. They will read “The Night Before Valentine’s Day” by Natasha Wing and illustrated by Heidi Petach. In the story, kids are getting ready for the sweetest holiday of the year.